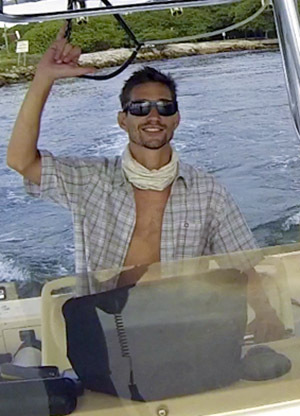 Videographer and recreational diver based in South Florida (Delray, Boca, Deerfield areas). I cannot seem to overcome my addiction of exploring the ocean and have recently found a renewed interest in UW photography and videography after many seasons of surf photography. My father, Bill, got me in the water early and I have fell in love with marine life and the sea experience. After recently finishing graduate school here at Florida Atlantic University, I’ve found some free time to join SFUPS and am looking to surround myself with this charismatic and knowledgeable group. I’ve only just begun experimenting with GoPro videography, but hope to refine my approach and continue to create memories through these visual vignettes. Hoping to contribute to both the photo portfolio as well as continue to provide GoPro UW videos for the video galleries in the near future. I look forward to a continued relationship with this great group and hope to glean as many lessons as I can from all of you. Cheers, enjoy!